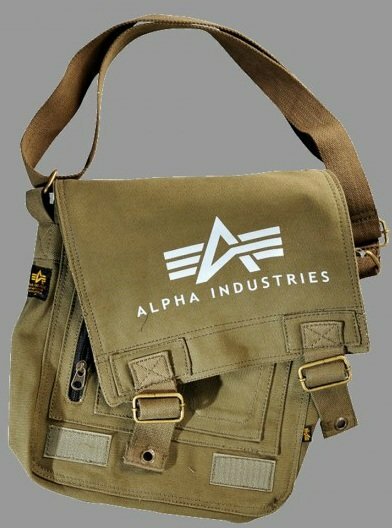 Quality Alpha Industries Inc. Small Side Bag. The front of the bag is decorated with a large white Alpha logo and white Alpha Industries caption. They have large inner pockets and smaller pockets! Adjustable shoulder strap!